NEW CPR Certifications, and Recertification, BLS Healthcare Provider Class Information for Richmond Virginia. CPR, AED and First-Aid Classes are AHA Certified. HeartLights CPR Inc ® Group a Virginia top rated Training Center. CLASSES - CPR, AED - First Aid Training. American Heart Association Certified ..
American Heart Association Center. SINCE 2009 . 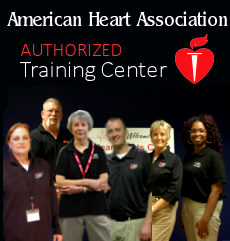 Certified American Heart Association Professional Instructors. CERTIFIED in - CPR, AED, FIRST AID, and OSHA Compliant. Richmond area, Your Location or at our facilities. American Heart, HeartSaver © CPR/AED Training includes all City - State requirements, Covers ADULT CPR - INFANT CPR- CHILD CPR ,CHOKING, First Aid. Jobs, Schools, Teachers and Occupations that require CPR Certification. Course: BLS is for Healthcare Providers - Caregivers - Medical CPR. Course: HeartSaver® for anyone with limited or no medical training who needs a course completion card for job, regulatory or other requirements. These courses are also designed to meet OSHA requirements. Students receive a American Heart (AHA) completion certification ecard valid for 2 years. 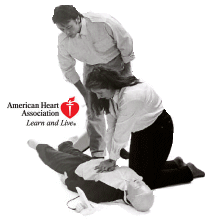 Upcoming American Heart Association CPR classes..
eLearning - Renew your BLS certification on-line. who prefer the ONLINE experience at your convenience. Complete Part 1 On-Line, and attend a Skills, Test Evaluation at our RVA classroom location, prior to a scheduled class. Call for Skills Hands-On sessions appointment. $70.00 for complete on-line course. or CALL for info (757) 313-0356. Certified American Heart Course INCLUDES EVERYTHING, and the Hands-On Skills Evaluation at our Richmond classroom class schedules. Call for details. Heart Saver CPR/AED First Aid Re cert. and 1st time. 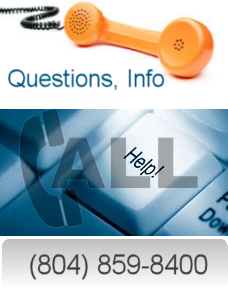 Please Call Us: (757) 313-0356 - or register online Renew your American Heart Association or Red Cross certification. 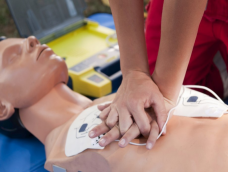 Offering Richmond VA the most up-to-date CPR, AED and First Aid Training Classes to Business, Commercial and Corporate, and to Individuals, Occupational Health Personnel, Nursing, Medical, Dental Students and Construction Companies. Specializing in CPR Certifications, (BLS) Health Care Provider Re certifications, AED & First Aid Certifications, plus On-Site training classes. CNA's, LPN's, Nurse's, Nursing Students, Hospitals, Dental & Medical Students, Medical Groups, Caregivers, Physician's, Dentists, Dental Hygienists, Day Care, Child Care, Healthcare Professionals, Healthcare Provider, Paramedics, Personal Fitness Trainers, Emergency Medical, Physical Therapists, Massage Therapist, Life Guard, EMT's, OSHA, Construction, Contractors, Landscapers, Roofing, HVAC, Manufacturing, and Military Personnel. Our students come from a variety of schools and businesses such as SENTARA, VIRGINIA TECH MEDICAL SCHOOL, VCU, ODU, MCV, UVA, WILLIAM & MARY, NORFOLK STATE, HAMPTON UNIVERSITY & EVMS. WE ALSO CERTIFY MEDICAL GROUP STAFF ON-SITE FOR MEDICAL & DENTAL PRACTICES FROM SENTARA HEALTHCARE BON SECOURS. OFTEN TIMES, HOSPITAL EMPLOYEES ARE "WAIT LISTED" FOR UPCOMING CPR CLASSES ONLY TO FIND THEY CAN'T WORK UNTIL THEY ARE CPR RE-CERTIFIED. CPR, First Aid, AED, Healthcare Provider (BLS), and HeartSaver, we also teach Blood borne Pathogens. We have classes for nurses, EMT's, doctors, personal trainers, therapists, athletic trainers, home health care, childcare, daycare, construction workers, dentists, coaches, counselors, babysitters, new parents, teachers and anyone interested in learning life-saving skills. CPR Training, Results Focused, Conveniently Delivered at Your Location. Certified CPR/AED First Aid Instructors, CPR CERTIFICATION CARDS ARE PROCESSED THROUGH OUR AMERICAN HEART ASSOCIATION PROCESSING CENTER, CARDS ARE VALID FOR TWO YEARS.